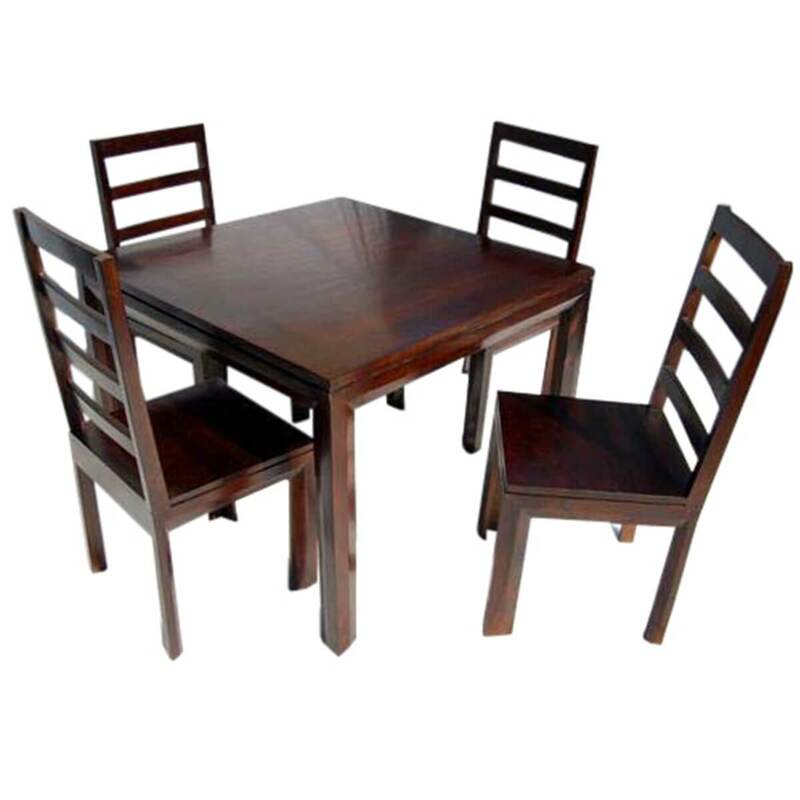 Embrace the modern lifestyle with the Copenhagen Mahogany Breakfast Nook Table and Chairs Set. 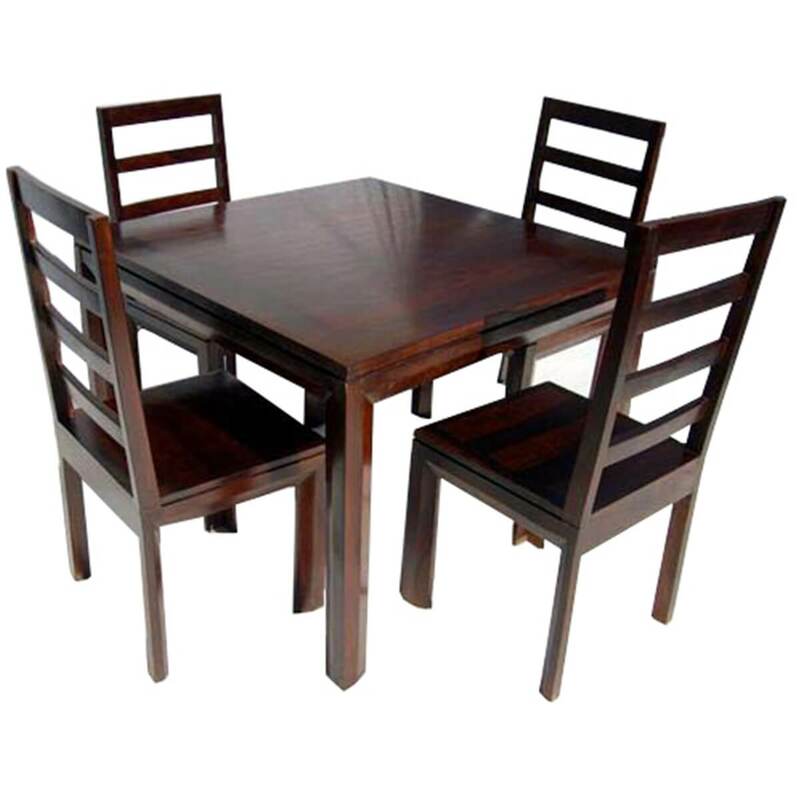 The dinette group uses the simplicity of color and line to achieve a clean sharp style. 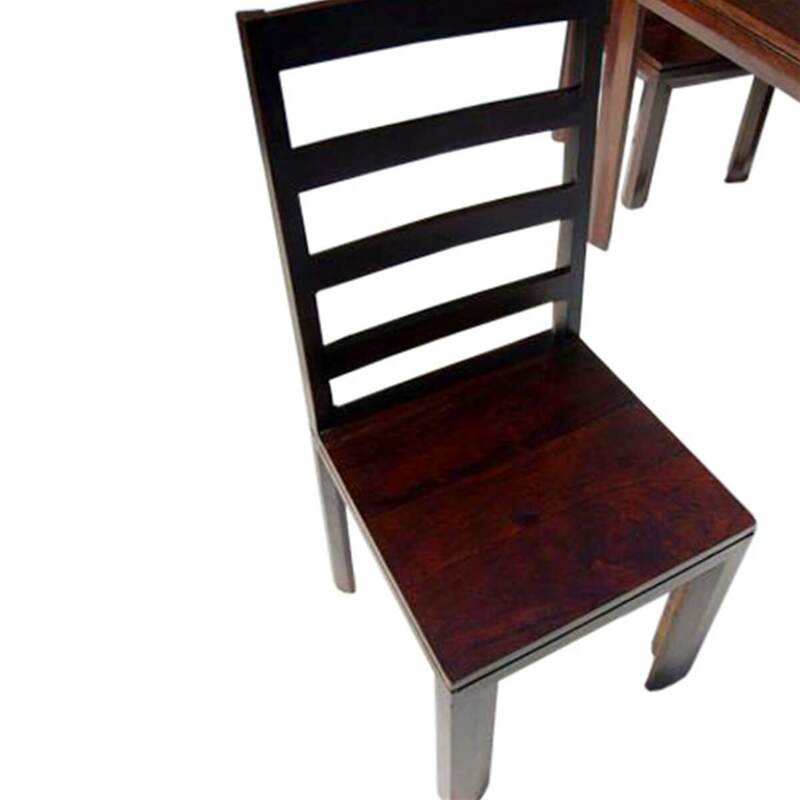 • Sleek ladder back chairs blend with most modern decor. 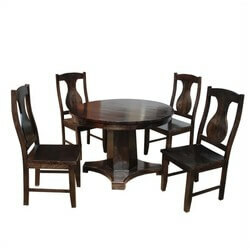 • Clean straight geometric lines give drama to this contemporary set. 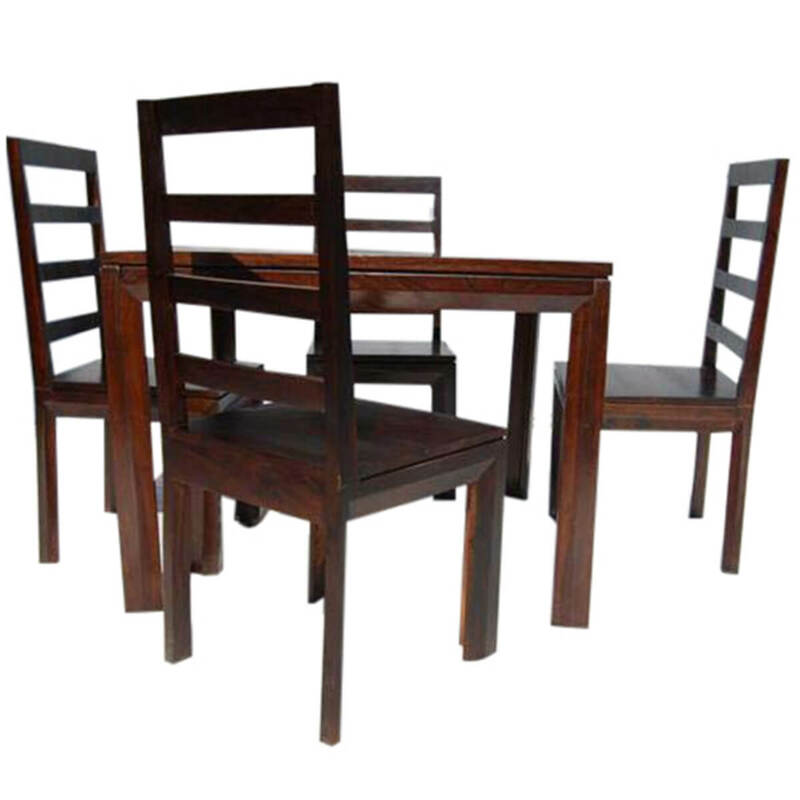 • Mahogany stain is individually applied to enhance the Solid Wood. 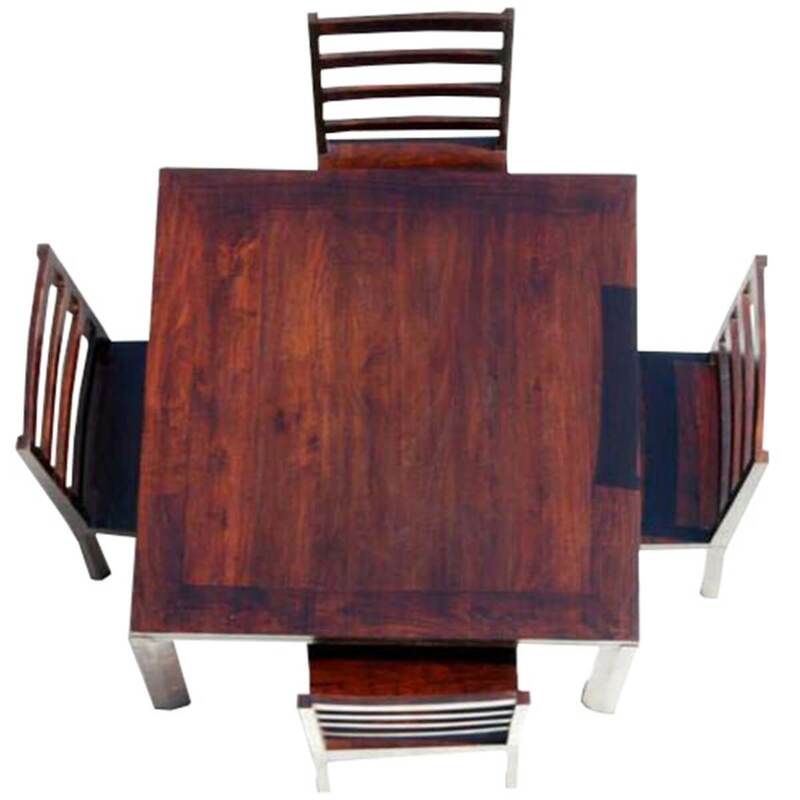 • Solid Wood table top is set in frame, note dramatic wood grain. 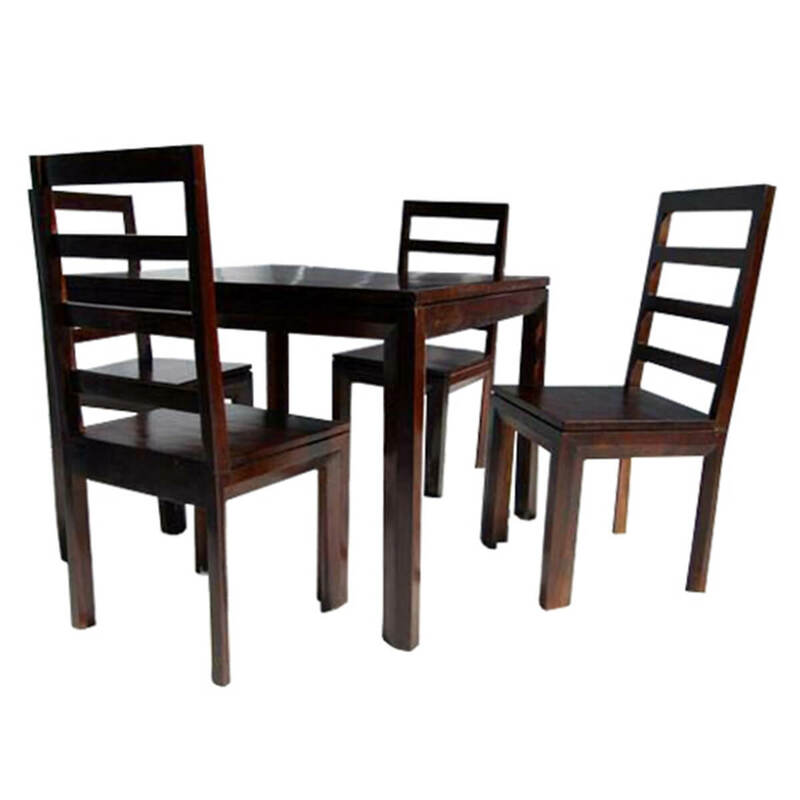 • The high back dining chairs have wide seats and are designed for comfort. 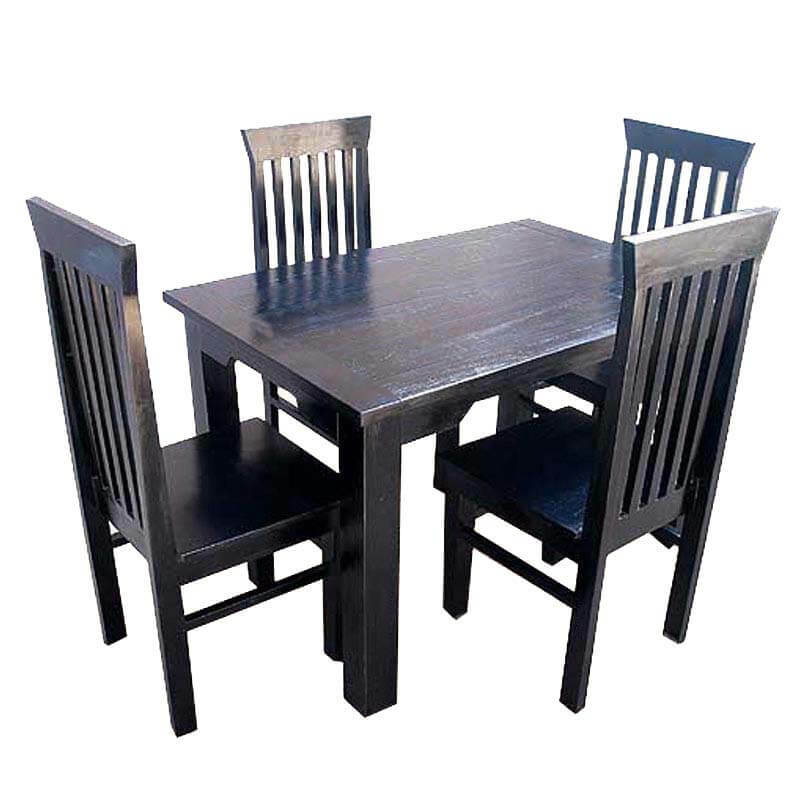 This heirloom quality dining table and chair set is handmade and is properly treated and seasoned for a long lasting finish. 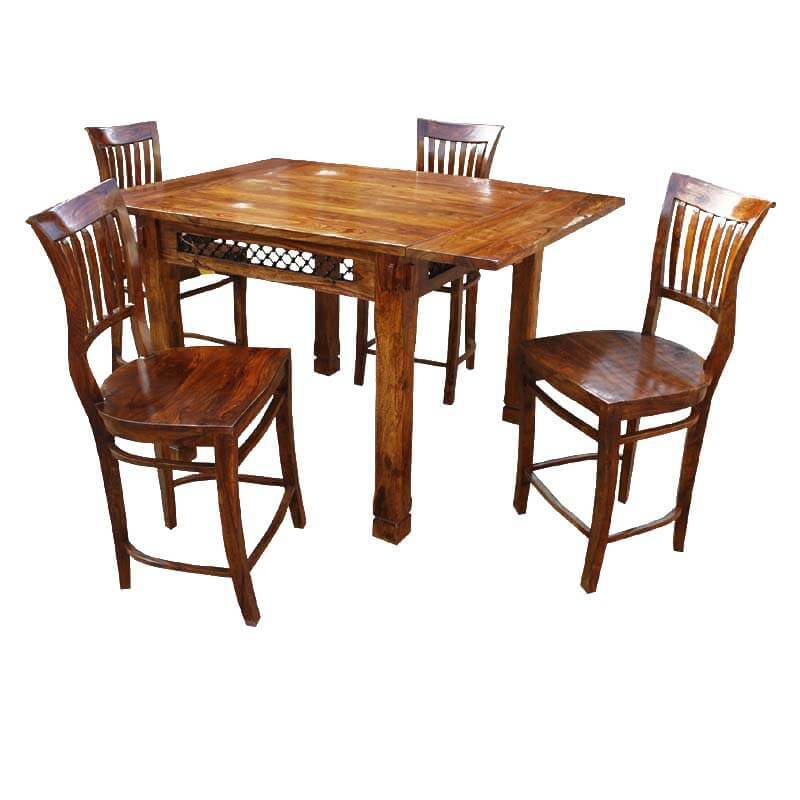 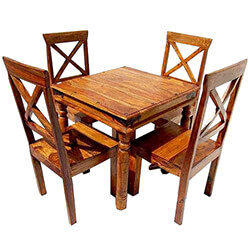 This traditional small breakfast table will easily fit into most dinette areas.